In this article we are going to look at how to install Skype in Linux Mint 18. Skype is not a free, open source software, but if you are using Linux mint as your Desktop operating system, then Skype is a software you are really gonna need. Installing Skype on Linux Mint is very easy. All we have to do is, Download .deb package and install using GDebi Package manager. Go to Skype download page and download the Ubuntu 12.04 (Multiarch) package from the distribution list. Save the .deb file to your computer hard drive. After the download is finished, right click on the .deb file and click “Open With GDebi Package installer”. From Package Installer, click on Install Package button to install Skype on Linux Mint 18. After the installation is finished, You can open Skype from the Linux mint start menu, under the Internet subcategory. 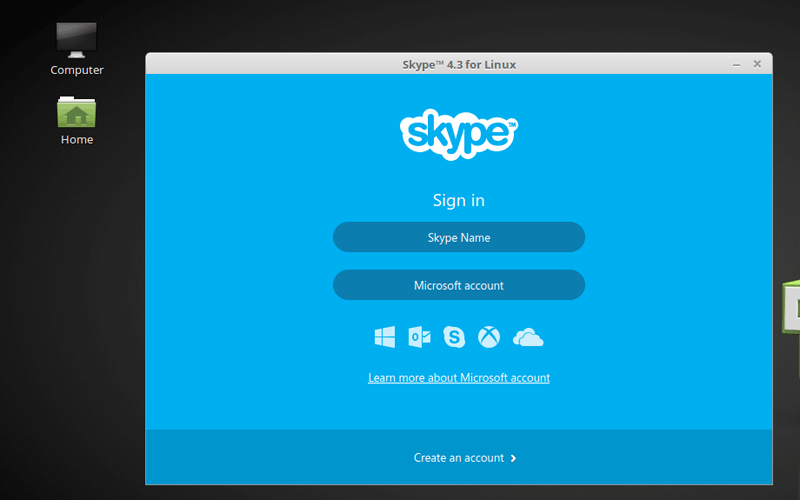 Skype for Linux Mint also available from the Linux Mint Software Manager. Open the Software Manager (From the Administration Menu) and search for "skype". Then double Click on the skype package to Install Skype in Linux Mint 18. Ok! Now you have Skype on your Linux Mint Desktop and this is the end of this article. Hope you enjoyed.